of people affected with Fluorosis. determines the development of fluorosis. 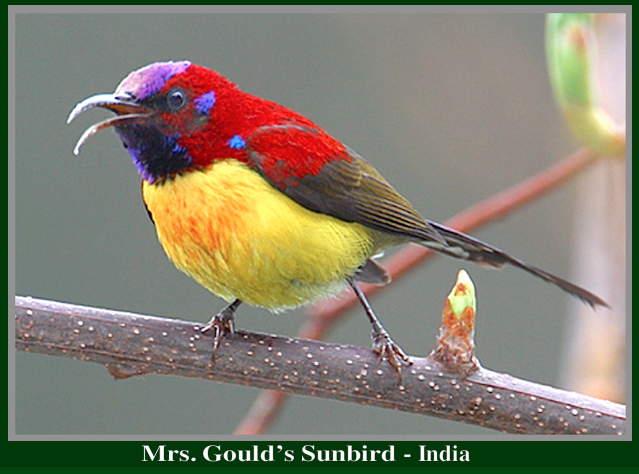 Taluk in Solapur district of the state of Maharashtra in India. 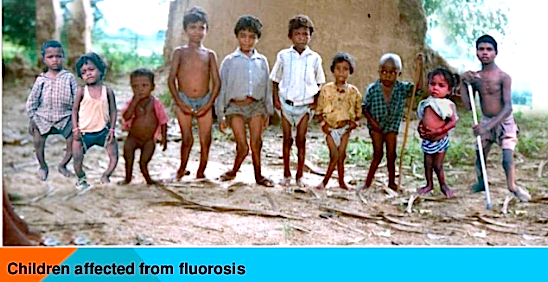 Endemic skeletal fluorosis is a disease caused by excessive ingestion of fluoride through water, food or air. The upper limit of optimum fluoride level in drinking water for a tropical country like India is 0.5 ppm. The upper limit of safe total intake of fluoride from food and water per day for an adult is 5 milligrams (WHO-2002). The TOTAL daily intake through water and food determines the development of fluorosis. First ever cases of endemic skeletal fluorosis and its neurological manifestations in the world were recorded from Podili, Darsi and Kanigiri areas of Andhra Pradesh in 1937. Subsequently cases of fluorosis were recorded from Nalgonda and other areas of the Andhra Pradesh state and other parts of India. It is now estimated that 60 million people are living in these endemic areas and are at risk of contacting the disease and 2 million people are crippled because of it. 1.) High levels of fluoride in drinking water supplies and in the foodstuffs grown in these endemic areas. 2.) Tropical weather and hard manual labor by affecting the intake of water. 3.) Poor nutrition and diets deficient in their content of calcium, magnesium and vitamin C aggravate fluoride toxicity. High intake of calcium reduces the amount of absorbed into the bones. Magnesium has peculiar relationship with fluoride and its optimum intake helps in elimination of fluoride from the body. Vitamin C is beneficial in some way in reducing fluoride toxicity. Diets deficient in calories and calcium intake increase the incidence of fluorosis (WHO-2002). 4.) Renal disease aggravates fluorosis by increased deposition of fluoride in the bones. A diseased kidney cannot handle fluoride excretion from the body and hence its increased deposition in the bones. 5.) Presence of abnormal amounts of certain trace elements in the drinking water supplies such as strontium, uranium etc. Strontium levels in drinking water supplies in some endemic areas are high and strontium is a bone-seeking element like fluoride and both these aggravate the bony changes. In a study of 94 drinking water samples from the endemic fluorotic villages of Prakasam and Nalgonda districts the fluoride and strontium levels are as follows: Fluoride levels ranged between 0.1 to 9.5 ppm for a mean of 2.009 ppm and strontium levels ranged between 4.91 to 9931.74 ppb for a mean of 1670.02 parts per billion. Any water strontium levels of over 1000 ppb are suspect. Increased levels of fluoride and strontium appear to play a role in the severe forms of fluorosis that is witnessed in some endemic areas of fluorosis in Andhra Pradesh especially in Prakasam where fluoride levels are not very high. Some elements like uranium are nephrotoxic and may aggravate fluorosis problem. Levels of trace elements such uranium, selenium, zinc, iron, lithium, lead, barium, aluminium etc. were in abnormal concentrations in some of the drinking water supplies of villages in Prakasam and Nalgonda districts of Andhra Pradesh. Aluminum is known to increase fluoride absorption from the gut and hence its abnormal concentration in water supplies is harmful. The role of these other elements except those of strontium, aluminum and uranium in fluoride metabolism are not known at present time. De-fluoridation plants are based on adding aluminum compounds to the water containing high levels of fluoride. It may be noted hundreds of crores of rupees were spent on erecting these plants in 1980’s 1990’s and not a single one of them are working now. So is the fate of household de- fluoridation units. Besides there is the risk of increased intake of aluminum which is being incriminated for the causation of Alzheimer’s disease as well as motor neuron disease for which there is no therapy like AIDS disease. Tea contains exceptionally high content of fluoride and each cup may add up to 2 milligrams of fluoride. Ideal solution for skeletal fluorosis is its prevention by providing safe drinking water and providing such water for cultivation of crops in these endemic areas. This appears to be only a very distant dream. Government of India envisaged health for all by 2000 in 1987 AD and planned provision of safe drinking water to all villages by that date. The plans failed miserably and now the authorities have become more pragmatic. One’ of the ‘millennium development goals’ of 2002 is to provide safe drinking water to half the rural population by 2015. Hence prevention of fluorosis is not possible in the near future and at least efforts must be made to lessen the suffering of the people by improving their nutrition. The situation in certain parts of Andhra such as Nalgonda is very grim. When Daver first recorded cases of skeletal fluorosis from this region in 1945 AD and by Siddique in 1955 AD, there were no children with deformed limbs. These cases with deformed limbs were recorded in 1970’s. Rural nutrition in the past few decades has gotten worse in many parts of state and in other parts of the country. National institute of nutrition conducted surveys of status of rural nutrition in 715 villages of seven states in 2002 and 2003. Eighty villages in AP were studied and AP has the distinction of having highest incidence of dental fluorosis among seven states. The results of nutrition study are contained in National nutrition monitoring bureau reports 21 and 22, which reveal the appalling state of nutrition of rural population in the country. Sixty percent of the children below 6 years of age are malnourished and a third of them suffer from severe under weight problem. Only a third of the children studied were getting an optimum diet. Calcium intake is exceptionally low in all states and calcium does playa big role in Nalgonda having very high incidence of skeletal fluorosis in our country. Drinking water supplies of Nalgonda have a high content of fluoride because the calcium content of Nalgonda soils and rocks is low. This allows more fluoride to seep in to the water supplies (Netherland study- 1986). Siddiqui study revealed that avenge daily intake of calcium in Nalgonda individuals was only 300mg whereas it was 900 mg in Punjab. NNMB report of 2002 reveals that calcium intake of rural population is appallingly low in Andhra and hardly averages around 300 milligrams whereas it should be around 800-1000 milligrams in growing children. Hence, there are no children with deformed limbs in Punjab villages with simdar levels of fluonde in drinking water supplies. Nutrition status study of 50 children in Sharbanapuram village of Aler Mandal of Naigonda revealed that only one boy was normal as per BMI and percentile studies. Mid day meal scheme has not helped these children in Nalgonda in this regard. Children hardly get 300 calories of diet and most of the times the food supplied is not even hygienically good. National family health survey-Ill by the government of India in 2006 in 29 states revealed that 45 % of the children below are undernourished and 57 % of women are anemic. All government policies to improve nutrition of rural folk have been a dismal failure so far. What needs to be done? One has to pragmatic. Ideal way would be to supplement the diet of children in the endemic areas with calcium, magnesium and vitamin C. This was also the basis of Chinese research work in early 1990’s. The best way would be to give a glass of milk and a banana to every school- going child in these endemic areas. Milk is perishable and can be adulterated. A pouch containing 300 ml of milk becomes very expensive. A tablet containing 5,0 milligrams of calcium, 300 milligrams of magnesium and 40 milligrams of vitamin C with vitamin D to improve absorption of calcium would be cheap and practical in addition to midday meal scheme, which needs to be improved. Since anemia is widely prevalent in rural population it may be advisable to add iron also to this tablet. The skeletal fluorosis was discovered in our country in Prakasam district seventy years ago and this continues to be major health problem even today. All efforts to contain this disease have been a dismal failure so far. Unless pragmatic steps are taken this problem going to affect the lives of millions of people in our country for a long time to come. There are three factors for the causation of skeletal fluorosis, Water, food and nutrition. Ask for Krishna water for drinking and cooking for every fluorotic village. Try for Krishna water for cultivation in future. Improve the nutrition of the population especially those of growing children by whatever means practicable. Avoid drinks such as tea, which is very rich in fluoride and also seafoods. Avoid analgesics, which could damage the kidneys and aggravate the problem in these areas where studies reveal a higher incidence of kidney disease. PREFERRED FOODS IN FLUOROTIC REGIONS A diet rich in calcium, magnesium and vitamin C would greatly benefit the population living in areas where soil and water fluoride levels are high while measures to provide safe drinking water could benefit by reducing fluoride intake, a diet enhancing calcium, magnesium and vitamin C intakes would considerably reduce the basic pathology associated with fluorosis. However these food sources should be grown in no fluoride areas and provided for consumption in region with fluorosis. Though there are several food sources only those which are commonly consumed in region of AP and which are affordable to the lower socio-economic groups are suggested. 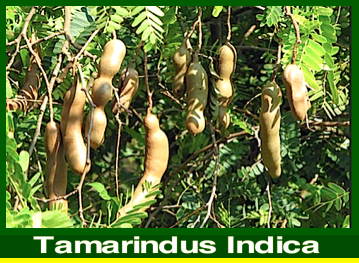 Tamarindus Indica L. – A Review Of Traditional Uses, Phytochemistry And Pharmacology by Emmy De Caluwe , Katerina Halamova , Patrick Van Damme Tamarind or Tamarindus indica L. of the Fabaceae, subfamily Caesalpinioideae, is an important food in the tropics. It is a multipurpose tree of which almost every part finds at least some use (Kumar & Bhattacharya, 2008), either nutritional or medicinal. Tamarind is indigenous to tropical Africa but it has been introduced and naturalized worldwide in over 50 countries. The major production areas are in the Asian countries India and Thailand, but also in Bangladesh, Sri Lanka, Thailand and Indonesia. In America, Mexico and Costa Rica are the biggest producers. Africa on the whole does not produce tamarind on a commercial scale, though it is widely used by the local people. Minor producing countries in Africa are Senegal, Gambia, Kenya, Tanzania and Zambia. fluorosis by enhancing urinary excretion of fluoride. Turmeric is shown to protect the brain against fluoride poisoning. will result in some assimilation through the skin. 2.) Boiling water will NOT remove fluoride; indeed it will increase the concentration. 3.) Boiling water will remove chlorine, but NOT fluorides. 4.) 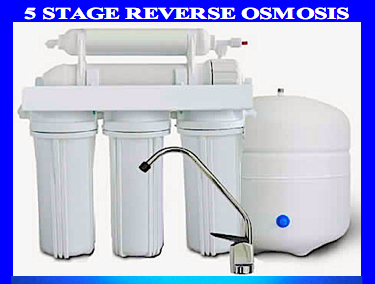 Carbon filters will only remove fluoride for the first 30-50 liters. There is some fluoride reduction (30-40%) progressively failing over time. 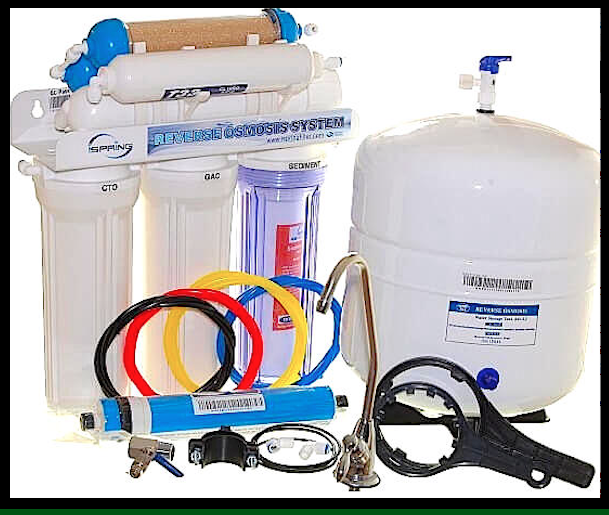 Carbon filters are therefore NOT an option for fluoride removal. 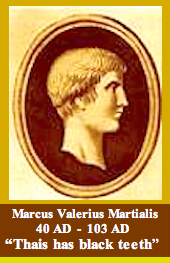 3.] Use Steam Distillation. 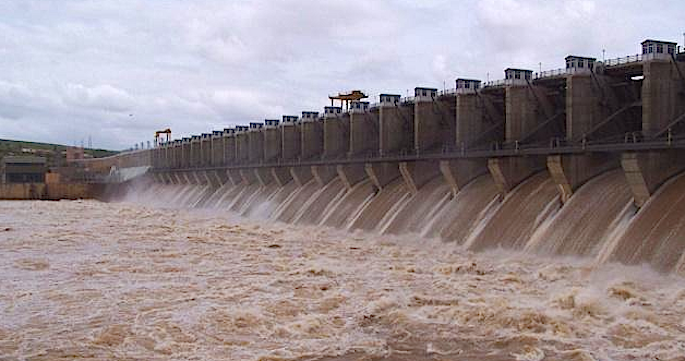 These systems produce clean water using electricity. 4.] Buy Bottled Water. Bottled Water is responsible for over 60,000 tones of greenhouse gas emissions every year. Only 35% of plastic PET gets recycled in Australia the rest becomes landfill. Many brands of bottled water are not fluoride free even if they are labelled “Spring Water.” There is a push to fluoridate bottled water. We can presume this will solve the problem for the bottlers who would otherwise need to install and maintain R.O. filters in their bottling factories. 5.] Move To A Town With No Fluoride In The Water. 1.) Absorption Though Skin. Cleaning, swimming, showering/bathing and clothes washing will result in some assimilation through the skin. 2.) Boiling water will not remove fluoride; indeed it will increase the concentration. This will occur due to evaporation e.g. electric jugs, kettles, aquariums and (wet, atmospheric) cooling towers. NOT an option for fluoride removal for drinking water. Vitamin C, Calcium, Magnesium, Iodine, Shilajit [minerals], Boron and Strontium, (not Strontium-90) these will need to be part of the diet of every one who is concerned about this problem. “Boron effectively counteracts symptoms of fluoride intoxication in humans (Zhou et al. 1987) and in experimentally poisoned rabbits (Elsair et al. 1980a, 1980b, 1981). Humans suffering from skeletal fluorosis experienced 50 to 80% improvement after drinking solutions containing 300 to 1,100 mg of borax/L daily, 3 weeks a month for 3 months (Zhou et al. 1987). Boron enhances sequestration of fluoride from bone and excretion through kidneys and possibly the intestinal tract (Elair et al. 1980a, 1981). THE BORAX CONSPIRACY by Walter Last - Borax is a compound form of boron, with oxygen and sodium attached. (However EXCESS BORON CAN CAUSE PROBLEMS especially for children. – Conditions like ADHD, dyslexia, autism, asthma, allergies, cystic fibrosis, liver and oseophageal cancer can be triggered or made worse with excess boron. Boron increases estrogen and calcium levels and lowers B6, zinc, and blood glucose. Signs of toxicity are nausea, vomiting, lethargy, dermatitis and diarrhea. Bromide used in bread making and PBDEs [flame retardants] like fluorides are toxic antagonists of iodine and interfere with thyroid function. (Fluoride was commonly used to treat hyper-thyroidism in the early and mid-1900s at doses commonly ingested by people today). The Dead Sea is a major sourse of bromide.